It is almost inevitable. If you have drywall in your Chattanooga home, at some point in time, it is going to become damaged. Whether you are moving furniture around your house or your children are horse-playing or you dog wants to go outside, it consequence is the same. Damaged drywall severely impacts the look and feel of your home. Although repairing drywall may seem like an easy do-it-yourself project, the fact that it has lingered in your home belies this thought process. In addition, if you do try to repair your damaged drywall, without the proper experience and skill, the results will still likely be unsightly. The best thing that you can do to restore the beauty of your drywall surfaces is to hire a professional painter for the job. At Williams Painting Company LLC, our Chattanooga drywall repair contractors are here to help you keep your residence looking its best. Because of our wide skill set, not only can we repair your drywall, but we can also make it look uniform and match the rest of your home. In the end, you are guaranteed to be satisfied with the results. At Williams Painting Company LLC, our drywall contractors understand that each type of damage presents a unique problem. The best method to repair dents in your drywall is inapplicable to corner damage. Likewise, the best means to repair small holes in your drywall is not the most efficient and effective way to repair large holes. In certain instances, you may simply have to hang an entirely new panel of drywall. 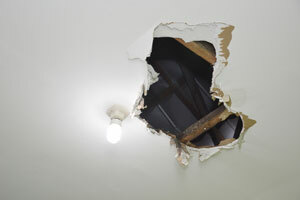 Our highly skilled experts know the best ways to repair all types of drywall damage. As such, we can complete the task quickly and easily for you. Our drywall and plaster repair services will save you time, hassle, and frustration. All you need to do is sit back and relax while the interior of your home is restored to its original beauty. Once the damage is repaired, the area of drywall still needs to be finished in order to match the rest of your home. This process can be extremely difficult for the inexperienced and is one of the main reasons why DIY drywall repairs look lackluster. It is hardly worth the effort to repair drywall if the area of damage is still clearly visible. At Williams Painting Company LLC, our Chattanooga drywall repair contractors can provide you with the services necessary to make your walls look uniform once again. After we repair the problem, we can finish, texture, and paint the area. Afterwards, you won’t be able to tell where your drywall damage had been. 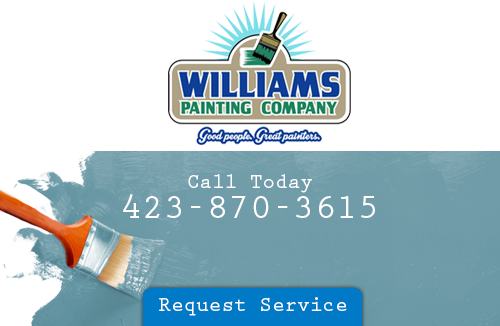 If you are looking for a Chattanooga painting company that specializes in drywall repairs, call Williams Painting Company LLC today at 423-870-3615, or fill out our online request form.